As I fingered the jagged green marble of a chipped-up fireplace mantle, my guide told me the story. This lodge — which sits like a James Bond fantasy atop an alpine peak — was a gift to Adolf Hitler for his 50th birthday in 1939. His inner circle all contributed. And, according to legend, the fireplace was a little extra from Mussolini. In 1945, victorious allied soldiers chipped off countless souvenirs. 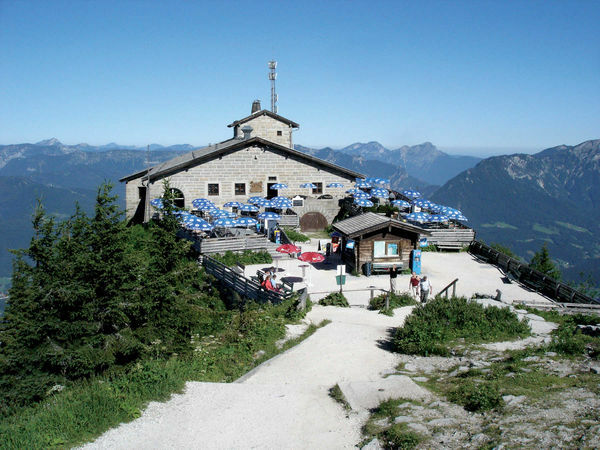 While many people call the entire area "Hitler's Eagle's Nest," it actually refers to just the mountaintop chalet. This extravagant lodge — its precision stonework evoking both fascist obedience and slave labor — was only the tip of a vast Berchtesgaden compound that served as Hitler's second seat of government and his planned refuge of last resort. What remains is now wide open to visitors. Berchtesgaden, the alpine ski town in the region of the same name (on the south edge of Germany, just 12 miles from Salzburg) is famous for its Nazi retreat. But long before its association with Hitler, Berchtesgaden was one of the classic Romantic corners of Germany. In fact, Hitler's propagandists capitalized on the Führer's love of this region to establish the notion that the former Austrian was truly a German at heart. Early in his career, as a wannabe tyrant, Adolf Hitler was inspired by this dramatic corner of Bavaria...so steeped in legend and close to the soul of the German people. This tiny bit of Bavaria, nearly encircled by Austria, held a special appeal to the Austrian-German Hitler. In the 1920s, just out of prison, he checked into an alpine hut up here to finish his manifesto, Mein Kampf. Because it was here that he claimed to be inspired and laid out his vision, some call Berchtesgaden the "cradle of the Third Reich." Hitler's handlers crafted his image here — surrounded by nature, gently receiving alpine flowers from adoring little children, lounging around with farmers in lederhosen...with no hint of a modern arms industry, big time industrialists, or ugly prison camps. In reality, rather than an alpine chalet, it was a huge compound of 80 buildings, closed to the public after 1936, where the major decision leading up to World War II were hatched. It was here that Hitler hosted world leaders, wowing them with the aesthetics and engineering of his mountain palace, adoration of his people...and National Socialism. Your visit has three parts: the Obersalzberg complex now with the small modern Documentation Center (a museum just above the resort town of Berchtesgaden, with a shuttle bus providing the only access to the Eagle's Nest); the vast and tourable remains of the bunker system (below the museum); and the actual Eagle's Nest high above. Between 1945 and 1952, almost everything was destroyed by the victorious allies (wanting to leave nothing as a magnet for future neo-Nazi pilgrims). Visitors looking for actual pre-1945 artifacts see only: the foundations of the Documentation Center (now mostly a modern building); the stripped-bare yet still evocative bunkers under it; the dramatic road, tunnel and elevator to the Eagle's Nest; the stonework and fireplace of the actual Eagle's Nest; and a scant assortment of memorabilia in glass cases in the Documentation Center. The Nazi Documentation Center is built upon the remains of what was the second seat of Nazi administration. 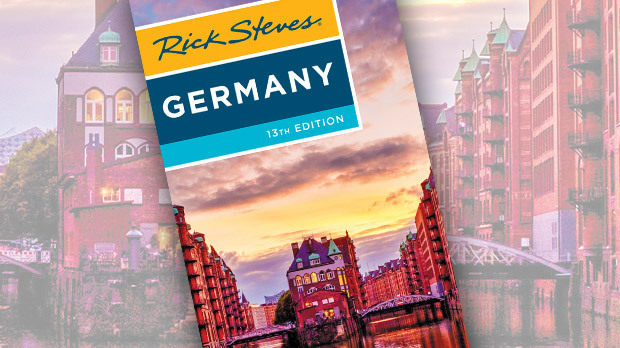 This center, with only German descriptions, is designed primarily for Germans to learn and understand their recent history. Since only the late 1990s, interest in Nazi history is considered healthy rather than taboo here. Non-Germans, too (with the help of an English language audioguide), can learn from a thoughtful visit. From the Documentation Center, stairs lead into a complex and vast bunker system. Construction began in 1943 after the Battle of Stalingrad ended the Nazi aura of invincibility. This is an incredibly engineered underground town with meeting rooms, offices, and archives for the government and a lavish living quarter for Hitler all connected by four miles of tunnels cut by slave labor through solid rock. It was stripped bare after the war. Today, you wander and marvel at megalomania gone mad. While a fortune was spent to build the Eagle's Nest perch, Hitler made only 14 official visits. From the bus stop, a finely crafted tunnel leads to a polished brass elevator which zips you to the top. The chalet is basically a restaurant with a scenic terrace 100 yards below the summit of a mountain. The magnificent views, combined with the horrible memories of an evil politician ruining a great nation while wrecking havoc on the world, combine for a poignant experience.